We’re still waiting for Brooks Running to officially announce their factory-direct Black Friday deals for 2019. However if history repeats itself then you can expect to see some similar deals like we saw last year: Up to 40% off select running shoes, doorbuster shoe deals, and a free “ugly Christmas” t-shirt with any $120+ purchase. 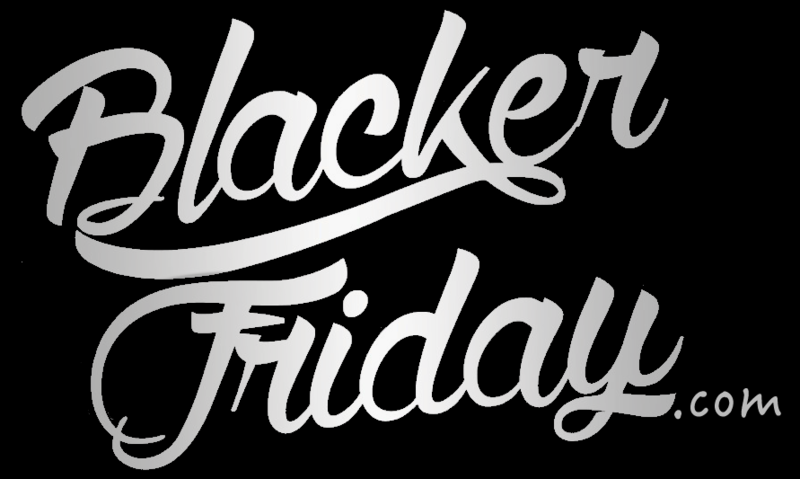 Of course the moment we learn more we will get the info posted here for you on Blacker Friday — Either check back soon for the latest news or signup to our newsletter to get updates delivered directly in your inbox. What new Brooks running shoes or gear are you planning on picking up this holiday season? Let us know in the comments section (comments are located at the bottom of this page). Updated on Thursday November 22, 2018: Brooks’ just released their Black Friday specials on their site, brooksrunning.com. This year they are offering the Glycerin 15 as a doorbuster special on sale for $85, up to 40% off an entire page of shoes (we counted over 150+ of them on sale! ), and our favorite deal of them all, a free ugly Christmas sweater t-shirt with any $120 or more purchase. Take a look at some of the highlights below. Have a nice Thanksgiving and happy bargain hunting! Updated on Wednesday, November 22, 2017: We can always count on Brooks to give us a freebie over Thanksgiving weekend! Starting today, you’ll be able to pick up a free limited-edition Distance Long Sleeve Tee with any $120 or more purchase from their direct online store (it retails for $44!). Available in both mens and women’s sizes, while supplies last. Plus be sure to check out their sale sections for some great deals on new shoes and gear. And as always, free shipping and free returns are included. Updated November 25, 2016: Happy Black Friday — Hope you had a nice Thanksgiving! Now it’s time to pick up some some deals, and if Brooks is on your shoe shopping list, then their sale just went live moments ago! Run on over brooksrunning.com to get up to 30% off select shoes. And with it, and anything else you get, you can pick up a free holiday tee or tech socks with any purchase of $120.00 or more. Available while supplies last, online only. Gift with purchase is not eligible for return, exchange or cash value. Forget about any Thanksgiving weekend deals coming directly from Brooks Running this year. Instead, they are following in REI’s footsteps and encouraging you to go out for a run on Black Friday and spend the day outdoors with family and friends. You can check out their Facebook page for more details. 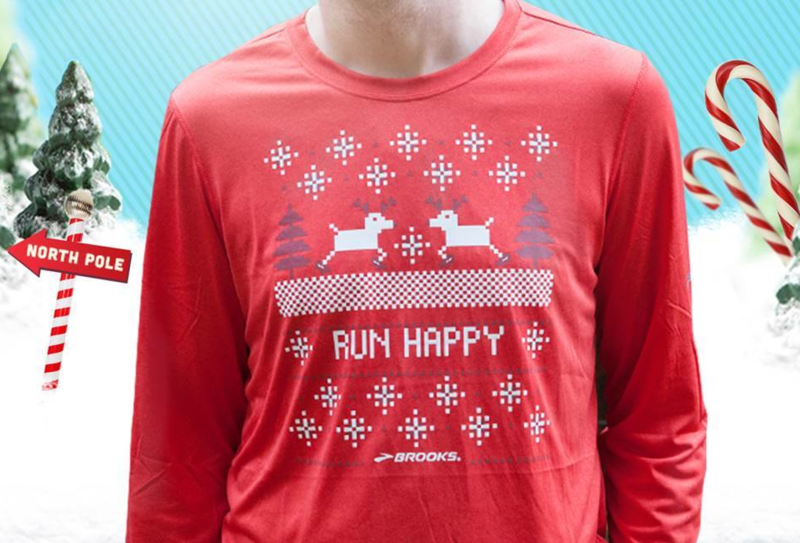 This year at Brooks Running you’ll get a free Ugly Sweater EZ long-sleeved t-shirt with all orders above $100.00 (a $40.00 value). And it’s just a regular ‘ole t-shirt… it includes front and back 3M Scotchlite retroreflectivity, flatlock seams, double color-dipped for a deeper red, and moisture-wicking fabric. Plus there is free two-day shipping on top of that and a ton of stuff on clearance. Just remember that the free tee is in limited quantities so if you’re planning on picking up some new running shoes or clothing from Brooks, then try to order early in the day on Friday. Brooks: Helpful Links & More!